B.Com Honours in Accounting and Finance is a 3 year undergraduate course in the stream of Commerce, the eligibility of which is qualifying the 10+2 examination in any stream from a recognized university. This program deals with the niche of commerce, specializing in the sector of Accounting and Finance. The average fee for the program ranges from INR 4500 to 2 Lacs, which is different for different colleges based on the norms as formulated by them. The program is an extended branch of Commerce which deals with the niche sector of Accounting and Finance in detail. The primary focus of the program is to imbibe the students with the skills of accountancy and its importance in varied fields of business and economy. Candidates who possess a diverse knowledge of Mathematics and Economics are deemed to be suitable for the course as this provides a good base over which the study of the subject can be constructed. In addition to having the knowledge of business organizations, its operation and management enhance the skills of commercial awareness of aspirants through the program format including case studies and projects. Students who also process good analytical and problem-solving skills can benefit from this course for taking up further study in business. Graduates after the completion of the course have the benefit of taking up Master’s degree in Business Administration and Commerce. They have lucrative options in the sector of Business, Investment, Civil Service, Customs Department and much more holding senior positions. 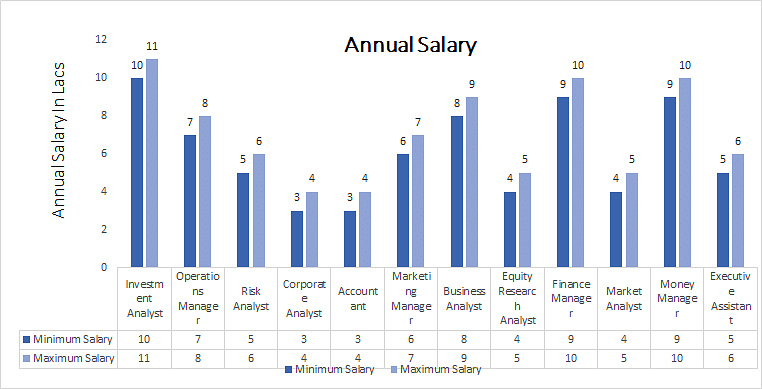 The average remuneration earned by the graduate ranges between INR 3 to 11 Lacs, based on the position they hold and the year of experience. Eligibility Qualify 10+2 in any relevant stream, get qualifying marks in subjects of economics, accountancy, business studies or Mathematics at the intermediate level. Top Recruiting Companies Corporate sector, Indian Economic Services, Banking Sectors, Indian Civil Services, etc. Job Positions Corporate Analyst, Business Analyst, Money Manager, Equity Research Manager, etc. B.Com Honours in Accounting and Finance: What is it About? B.Com (Hons.) in Accounting and Finance is a comprehensive study of principles related to accounting, planning, finance, topics and to micro and macroeconomic theories and much more. The course gives a deeper insight into the subject where apart from the usual study of commerce, the students get a broader view of the systematic concepts related to the genre of Accounting and Finance sector. This highly lucrative course spanning for 3 years covers in detail objectives related to the sector. From a broader perspective, this course is especially beneficial for those who possess an overall knowledge of numerical, business studies and economics. This program enriches candidates with the knowledge of accountancy, audit, banking, and finance raising their credibility to perform varied tasks in both private as well as government sector. B.Com Honours in Accounting and Finance requires the skills of problem-solving coupled with an analytical mind to carry on the project work precisely. The curriculum comprises of 3 years of classroom study along with the examinations conducted in the form of semesters in a span of 6 months each. In addition to the theory part, the students are also rendered with tasks comprising of presentations and case studies which will help to get a much deeper insight into the subject. Subjects such as Foreign Trade, E-Commerce, Income Tax, Mathematics in addition to aspects of marketing and business management aids candidates to strengthen their foundation of the subject, thereby helping them take up higher education studies including M.Com and MBA. Candidates through this highly career oriented course are trained in the aspects of evaluation and recording of figures from the business point of view. This opens a wide arena of opportunities for the graduates in the sectors of banking and other commerce fields. They have chances to explore the areas of Research, sectors including Banking, Corporate as well as are capable of holding gazette positions in the Indian Economic Service after qualifying the Public Service Examination. The overall aim of the course is to render candidates with both quantitative and business skills, thus providing a strong base for the field in order to acquire the required competence of leadership and managerial role in the financial sector. Those who have qualified their 10+2 examination from any relevant stream of either Arts/Science/Commerce with minimum aggregate marks from a recognized university in the country are eligible for admission. Applicants are required to have cleared either of the subjects listed viz Business Studies, Economics, Accountancy or Mathematics at the intermediate level with a minimum aggregate of 50% marks and above in each subject. Applicants seeking admission for B.Com Honours in Accounting and Finance course are required to meet the following eligibility criteria as prescribed by the respective universities. An aggregate of 50% marks and above in subjects of Accountancy, Economics, Mathematics or Business Studies is prerequisite. The aspirants are also supposed to qualify their 10+2 examination in any relevant discipline from a recognized board. Admissions for the course are done solely on the basis of merit list. The cut-off percentage will differ for different universities. Applicants can download the application forms by logging into the official website of colleges and universities or else avail for the prospectus from the college office. All the important information pertaining to the admission dates and date of reopening will be listed on the website. The syllabus of the program aims to provide a systematic study of the concepts related to the specialized subject. Candidates are trained in understanding the numerical and quantitative aspects of the course. In addition to the examinations, candidates are required to carry out presentations, work on case studies and assignments, preparing them for taking up higher studies. The subjects covered through this program includes principles of accounting, financial management, economics, business ethics trade and policy management and much more. These topics provide a strong foundation for candidates to take up higher studies of MBA and M.Com. After the completion of the program of B.Com (Hons.) in Accounting and Finance, the graduates are completely trained in the aspects of understanding the use of accountancy and finance in business. The importance of quantitative skills and numerical skills helps make the students competent enough to gain the knowledge of the trade, banking, economics and financial planning. Candidates after the successful completion of the course have the ability to explore the sectors of Business, Corporate, Economic Consulting Firms, Import Export Companies, Investments, Indian Civil Service and Economic Service and much more. They can become Marketing Manager, Market Analyst, Operations Manager, Investment Analyst, Corporate Analyst, Business Analyst, Risk Analyst, Investment Banker and other such.